Steam Whistle is a proud Canadian company and like countless Canadians, the Good Beer Folks at Steam Whistle have been inspired by Gord Downie’s legacy and his push to raise awareness for Indigenous reconciliation. Gord in telling Chanie Wenjack’s story illustrated the urgency to work together as Canadians to build a more inclusive and united country. Downie Wenjack Fund from Downie Wenjack Fund on Vimeo. During The Tragically Hip’s final concert in August 2016, Gord Downie asked us to ‘Do Something’ to help improve the state of Indigenous relations in Canada. In February Steam Whistle will look to honour Gord Downie’s incredible legacy and Chanie Wenjack’s story. The objectives of this campaign are to raise awareness and funds for the Gord Downie & Chanie Wenjack Fund, to carry on the conversation that Gord started and to ensure we as Canadians work together to build a more inclusive and united country that celebrates our Indigenous culture and history. 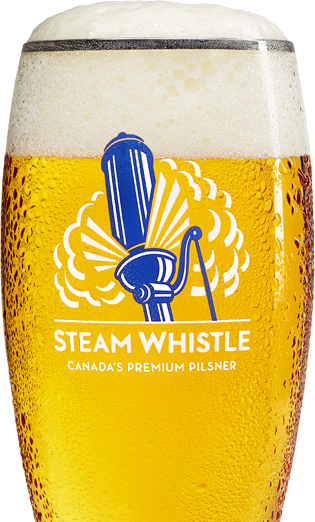 Any bar or restaurant with Steam Whistle on tap nationwide across Canada will automatically participate in this initiative as Steam Whistle will donate 50% of draught profits for the month of February to the Gord Downie & Chanie Wenjack Fund. The Gord Downie and & Chanie Wenjack Fund (DWF) is part of Gord Downie’s legacy he wanted to leave in Canada, and embodies his and his family’s commitment to improving the lives of Indigenous persons. In collaboration with the Wenjack family, the goal of the fund is to continue conversations beginning with Chanie Wenjack’s residential school story, and to aid our collective reconciliation journey through a combination of awareness, education and action. DWF is an opportunity to facilitate safe conversations about our shared history as Canadians to build positive relationships between Indigenous and non-Indigenous people. With a reconciliation movement starting across Canada, the Fund aims to become a fundamental element in creating social and systemic change.